Soak tamarind in water and take out the thick pulp in 1 cup water.Again take out second time with 1/2 cup water. When tamarind water starts boiling add 2 cups of water and add tomato & boil it. Meanwhile,heat ghee, splutter mustard, fenugreek seeds, red chillis, tuvar dal, curry leaves and hing. Add this seasoned ingredients to the rasam just before removing rasam from the flame. 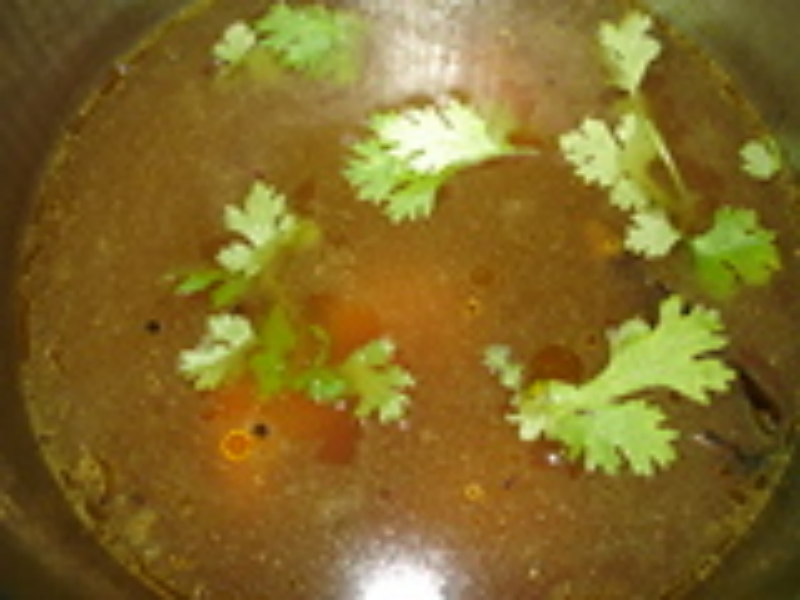 Add jaggery, coriander leaves and salt.Mix well. Goddu rasam is ready. Serve hot with rice and appalam. Note:If u add 2 tomatoes please reduce the tamarind quantity.